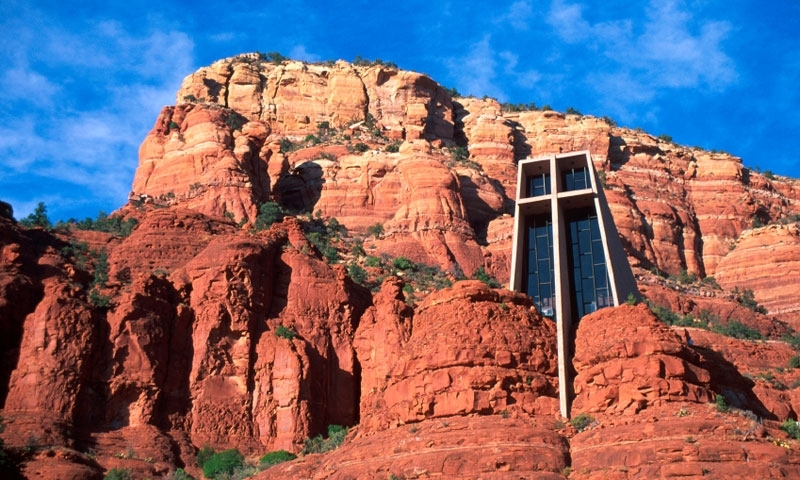 The Chapel of the Holy Cross in Sedona, Arizona overlooks the hiking trails in the area such as Little Horse and Bell Rock trail. 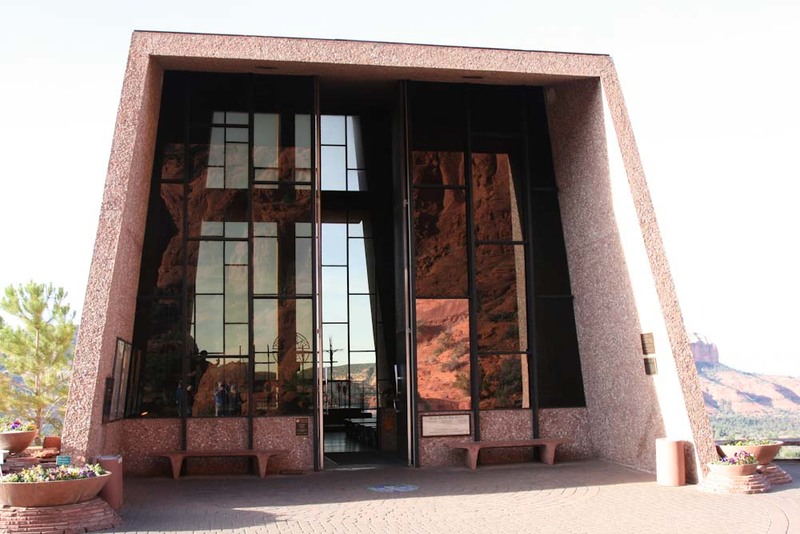 The modern, taupe sandstone colored chapel is noticeable among the brilliant red rocks without being overly ostentatious. Designed by a student of legendary mid-century modern architect Frank Lloyd Wright student, Marguerite Brunswig Staude, designed the chapel in the mid-1950s. The chapel was built in 1956. It’s rectangular geometric shape and paneled windows contrast beautifully with the staggered and lineated rock formations of the mountain. Visitors, travelers and devotees are encouraged to drive up to the chapel to explore the inside for worship and prayer. 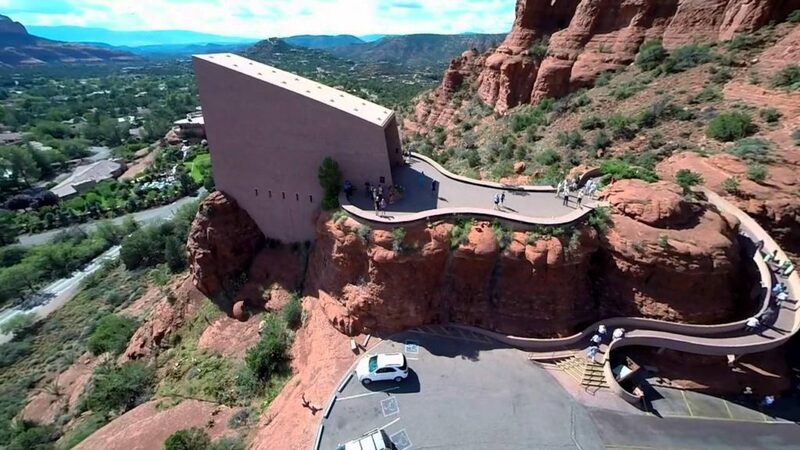 Once parked, a winding walkway leads visitors to the top. The inside of the chapel is smaller than many of the traditional chapels in the area. The chapel can comfortably house a little over 50 people. Inside stands a 90-ft cross placed in front of the large glass paneled window. On the walls of the chapel are abstract artworks symbolizing four pillars of “God’s Mercy.” Life, Creation, Heaven and Earth. The artwork hangs vertically like cloth tapestries. 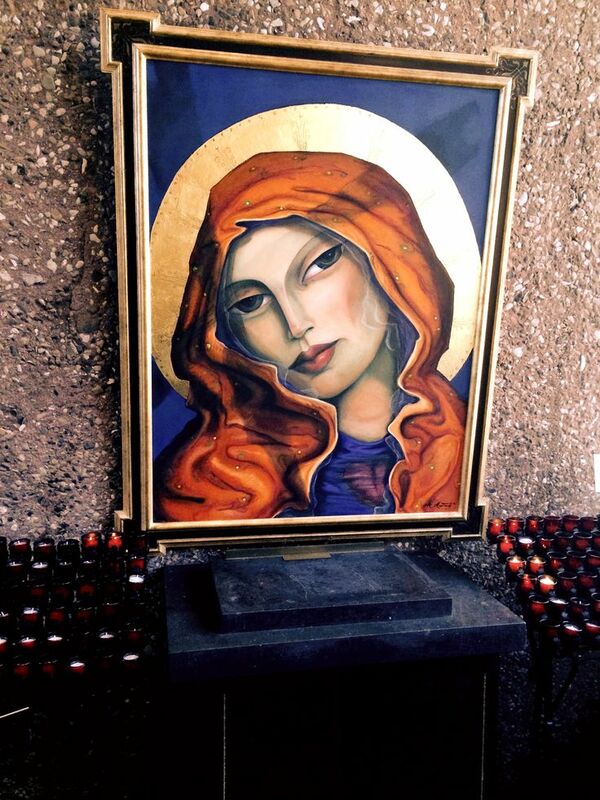 In the entranceway, a modern rendition of the Virgin Mary is placed on the wall surrounded by candles. The simplicity and minimal design of the chapel showcases church design in a mid-century modern fashion. 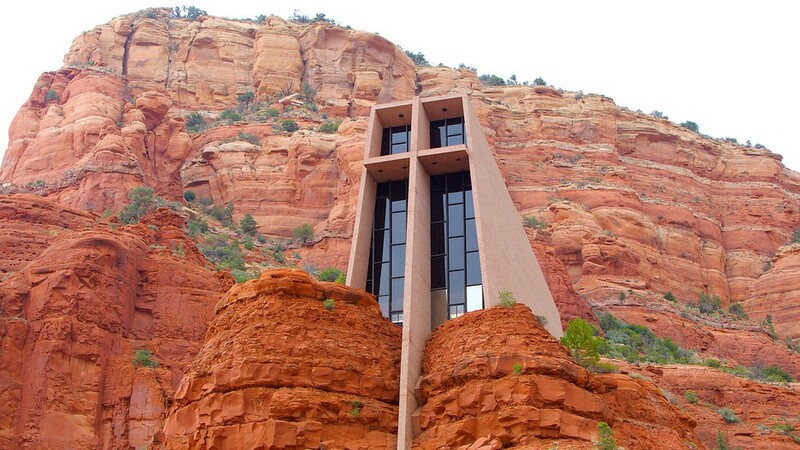 Unusual but breathtaking among the rich landscape of the Sedona mountains.